This covert security system from DEFENDER lets you monitor what is important to you while remaining discreet. 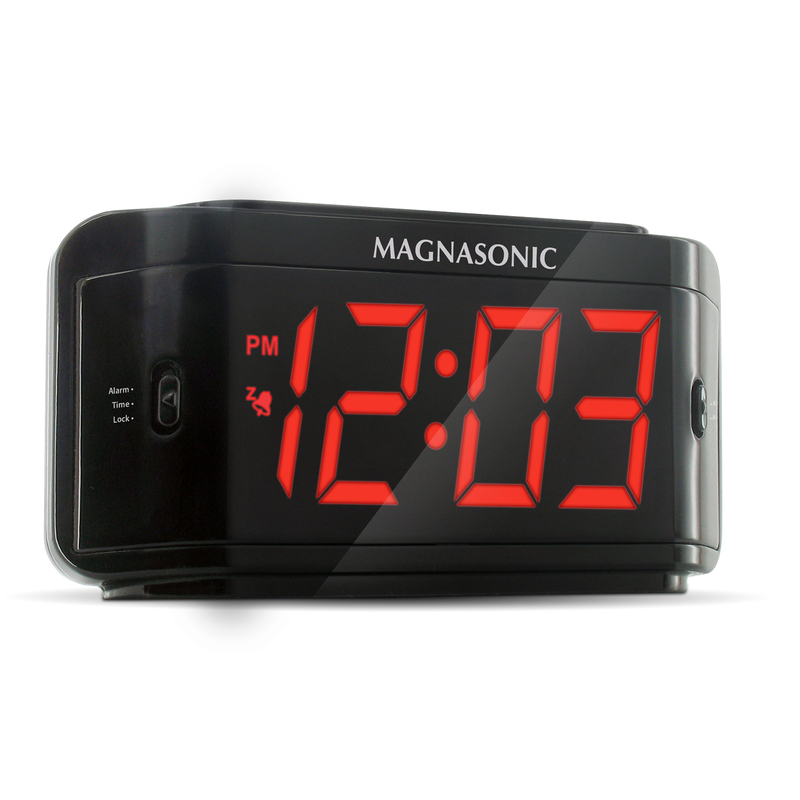 Disguised as a Magnasonic alarm clock, the unit can capture over 40 days of high quality video without anyone knowing. This easy to use, covert DVR system is ideal for monitoring your office, nanny, employees and valuables. Just place the alarm clock on any desk or cabinet and you will be able to record video completely undetected. A built-in motion sensor can help conserve SD card space by only triggering a recording when movement is detected. So feel free to supervise your business or home discreetly with the ST300-SD and always be aware of whats happening, even when you are not there. This is a complete recording system that is hidden in a fully functional LCD alarm clock, you can privately monitor your office, employees, valuables or nanny with this unit's conventional appearance. The stylish alarm clock design looks like a regular Magnasonic alarm clock that will blend in to almost any area and allow you to see people's true colors. Sensors within the camera can detect movement so that if someone enters your monitoring location, you will know about it. Having the unit record only when motion is detected will conserve SD memory. The unique motion "mask" allows you to block out areas with constant movement so you can be sure you are only recording what's important to you. Watch live or review previously recorded video footage by connecting to a television or monitor. This allows you to see everything you've recorded on a larger screen so you will not miss any details. To keep a permanent record of your video you can remove the SD card and transfer the files to your computer’s hard drive. On top of being an excellent monitoring device, this unit also works as a fully functional alarm clock. This ensures that no one will know that a camera and recording unit are also inside. Simply set to the proper time, wake time and use the alarm as needed. A buzzer will sound to alert you at your set time. Setup your preferred scheduled recording time throughout a 24 hour day to ensure that you will never miss any suspicious events, even while you are away. You are able to record video footage using three different types of recording modes: manual, scheduled, and motion activation. Record MPEG-4 compressed video to be the built-in 2GB SD card. This allows for days of recording without any sacrifice in your video quality. MPEG-4 is a very common video format that is similar to most computers, so reviewing and backing up your footage is easy on any type of PC. This system is compatible with High Quality SD cards. That means if you use a 32GB SD card with this system, you will be able to record over 2 years of high quality video. Recording capacity may vary based on recording resolution and quality, lighting conditions and movement in the scene. Based on a 2GB SD Card, using lowest quality settings. Product may not be exactly as shown on the package. Some images are used for illustration purposes only. DEFENDER does not endorse any DEFENDER products for illegal activities. DEFENDER is not responsible or liable in any way for any damage, vandalism, theft or any other action that may occur while a DEFENDER product is in use by the purchaser.